Day 2 of 20: Back off MSM – writing about toilets while traveling is *my* thing! The mainstream media (MSM) has been making a lot of noise lately about the hilarious toilets in Sochi Russia. From the cardboard doors that amplify the bathroom noises that people normally want to keep muted, to the stall designs that support two individuals instead of one – it seems that one cannot go anywhere or do anything without being bombarded with hundreds of news articles covering the local toilet situation. And I for one, am not happy with the media’s new focus on toilets. While some people are complaining that it detracts from actual, important problems (like the CBC podcasts I never listen to not working) – my beef is primarily related to the media saturation of a topic that drives the majority of traffic to my blog. This concern is a legitimate one. Is anyone really going to want to read my toilet posts after a day of reading dozens of articles on the same subject at work? “Probably not” according to my marketing manager. Oh well, it was a good run. But I do have to say, as sad as this makes me, I do enjoy the fact that I was almost three years ahead of the curve on this topic. So, if you are curious to know what everyone will be talking about thirty-six months from now, just keep reading my blog. 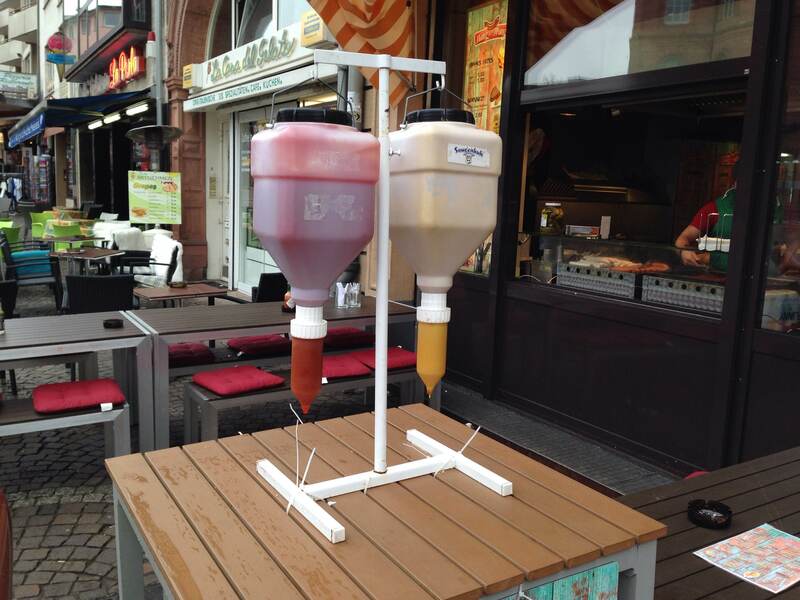 Hint – think: super-easy-to-use, highly-sexualized, gravity-fed condiment dispensers. ← Day 1 of 20 – GWN!